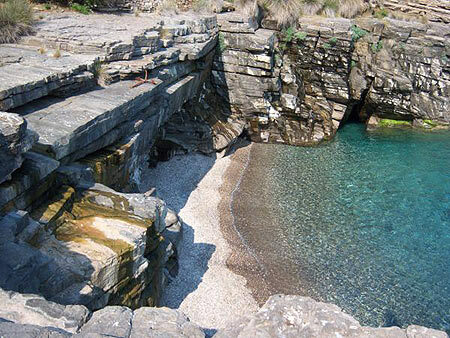 A nice pebble beach located below the village of Plagia and visited primarily by the summer residents of the village. The water here is deep and cooler than other beaches owing to the river that emptys here in winter. There are no facilities on the beach and access to the beach is from a steep path where the road ends. Note that some climbing down rocks is necessary to decend to the beach.